One of India’s most unassuming but most charismatic chief ministers, Manohar Parrikar, died last evening plunging the politics of Goa into chaos. 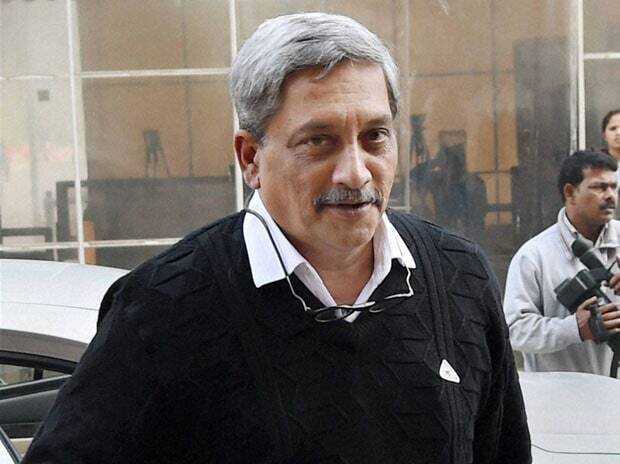 A trained metallurgical engineer from IIT Bombay, Parrikar became defence minister when Narendra Modi came to power in 2014, but his induction in the Centre was, in some ways, a second thought. He took over in November 2014 from Arun Jaitley and while he came to Delhi and presided over a complex ministry with aplomb, his heart was always in Goa. Parrikar hated being compared to Modi but the career paths of the leaders were similar. He was like Modi, an RSS Pracharak, and his defence of Modi in handling the communal riots in Gujarat was interesting: he conceded riots should not have taken place at all, blamed the administration for them and did not blame Modi as ‘Modi was, after all, a new CM’. He first became CM of Goa in October 2000 — raising the strength of the BJP from four MLAs in 1994 to 17 in 2002. But he could stay CM for just two years. He made several mistakes, lost power and was back in office four months later to rule as CM till 2005, when he lost the elections. In 2012, ahead of the assembly elections, he made a special effort to reach out to Goa’s Christian community: the BJP fielded six Christian MLAs and supported two others. All won. In 2017, assembly elections to the 40 member-house were held again and the Congress emerged the single largest party with 17 MLAs. But Parrikar had moved back to Goa where the Congress lost three MLAs to the BJP, which formed the government. He became the CM again. Since then, politics in the state has been unstable, especially after Parrikar fell ill. In 2017, Vishwajit Rane was the first Congress MLA to quit and he was welcomed into the BJP and made a minister even before he was re-elected to the legislature. Two other Congress MLAs — Dayanand Sopte and Subhash Shirodkar — quit the party in October 2018, to join the BJP. They are facing by-elections to be held along with the Lok Sabha polls bringing the BJP on a par with the Congress at 14 MLAs each. However, with the death of BJP MLA Francis D’Souza in February this year, the Congress once again became the single largest party in the House. Another BJP MLA, Pandurang Madkaikar, is unwell and hasn’t been seen since he suffered a stroke in June 2018. In October 2018, too, the Congress staked claim to form the government and called for a floor test but its request was ignored by the Governor. Now, all indications are that the Congress will make another bid to form the government. The BJP’s ally, Goa Forward Party (GPF), has already begun to mount pressure. “We supported Manohar Parrikar, and not the party. So, in case of any eventuality, we will rethink (our support to the BJP),” Goa Forward Party chief Vijai Sardesai said two days ago. Three MLAs each of the Goa Forward Party, Maharashtrawadi Gomantak Party (MGP) and an Independent and a lone Nationalist Congress Party (NCP) legislator are supporting the BJP.